Somebody please explain what a meshnet is? Meshnet is a peer to peer internet system. It makes each internet device that is able to transmit and receive data a mini internet server. and by mini internet server I specifically mean setting aside part of its available usage to transmit and pass along data. This works because each router in the network is connected to each other network capable device. Your computer > ISP > "Local network" > "High level network"
But meshnet doesn't have to only be made of routers. It can be made with ANY device that is capable of transmitting and receiving data. Basically you piggyback on everybody else's devices in exchange for them piggybacking on your device. There's even ways to get paid in bitcoins for sharing your bandwidth. You know what it's times like these that I can look at the painfully cold weather outside and simply smile. 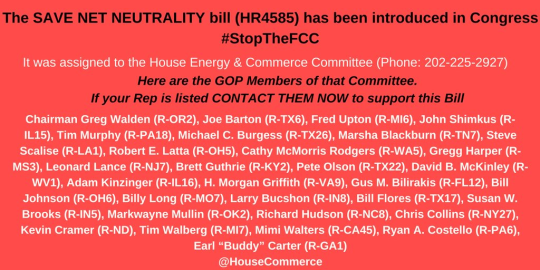 Apparently a bill has been presented to congress in an effort to prevent the FCC from repealing Net Neutrality and this link is given to the bill on Congress.gov. According to the information provided the bill has been assigned to the House Energy & Commerce Committee. So alongside contacting congress and signing the petition there's this. Hopefully people's effort will be worth it. Renewable energy doesn't need to duplicate the infrastructure that oil and coal needed. This subject right here...renewable energy has been proven be a great solution, but for some insane reason "the powers that be" keep pushing the concept of fossil fuels- to the point where they create "facts" and push denial as a narrative("climate change is a myth"); all this for a dollar.